The Red Warrior(s) is the official name/moniker of the varsity team of the University of the East (UE) that competes in the University Athletic Association of the Philippines (UAAP). Before the acceptance of the University of the East in the UAAP on 1952, the local athletic teams of UE were known as University of the East Varsity Blue and Goldies (men) and University of the East Golden Shirts (women). When the University of the East got accepted as a member school of the UAAP, then Dean Jose M. Hernandez and PE Director Pedro D. Villanueva decided that red and white were to be the University’s official athletic colors, because blue and gold were already represented by the National University. 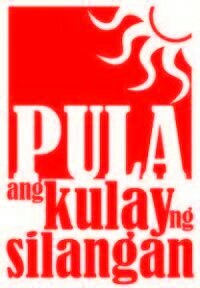 In the early years of UE in the UAAP, the varsity team was formally represented with the moniker UE Warrior(s) or simply Warrior(s), however inside the campus and school publication the team was known unofficially as the Red Warrior(s), continuing the tradition of the Blue and Goldies name by coining the darker color on their team name/moniker. 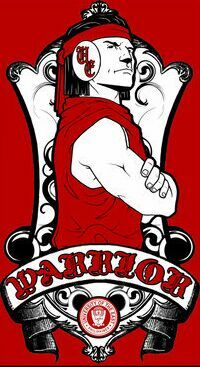 The University of the East got its name/moniker Warrior(s) from a radio announer who covered the UE men’s basketball team, likening them to warriors, because of their fearless and distinct brand of basketball. The University of the East’s adaptation of the said name/moniker and logo were inspired, and had a resemblance from the western Warhead logo. When the late Chairman P.0. Domingo assumed leadership over UE, the UE administration in the early 90s changed the name/moniker’s connotation and association from western Warrior(s) to a completely Filipino version (local representation) that resembled the early native Warrior(s) of the Philippines. Among them were Lapu-Lapu, Rajah Soliman, and everything that resembled pre-Hispanic datu, rajah and tribe warriors. And, also by officially adding the term “Red” to the team’s name/moniker, which resulted to the team being named the University of the East Red Warriors.